>>>We’ve Got Talent for Canada Day! 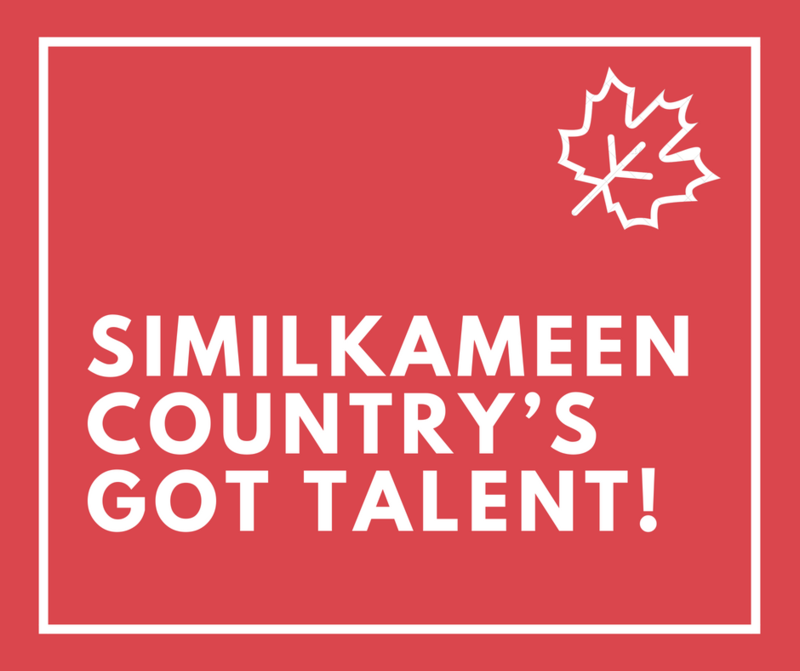 Canada Day events include many activities and good food, and of course, our very own Similkameen Country’s Got Talent! Are you blessed with a talent, under the age of 20, and live in Keremeos, Cawston, Olalla or Hedley? Can you dance, sing, play an instrument, juggle, tell jokes, perform skits, tell a story, or have any other impressive, interesting, or unusual talents? Any person or group must register before June 14 and must be able to perform in Memorial Park during Canada Day activities on July 1 between 8 AM and 12:30 PM. Auditions will take place June 21 – 27. Contact Colleen to register or for more information. Or stop by the Info Centre!